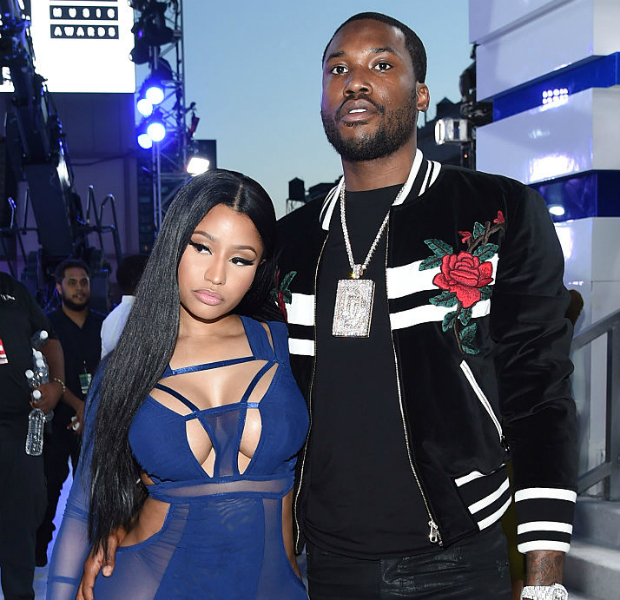 Meek Mill has responded to Nicki Minaj's breakup public announcement by saying that Nicki needs to dress better if she's leaving him. He described his ex-girlfriend as a fashion dis. The duo had been together for nearly two years. Nicki gave him a big blow when she took to her twitter handle and announced their disunion early Thursday morning. 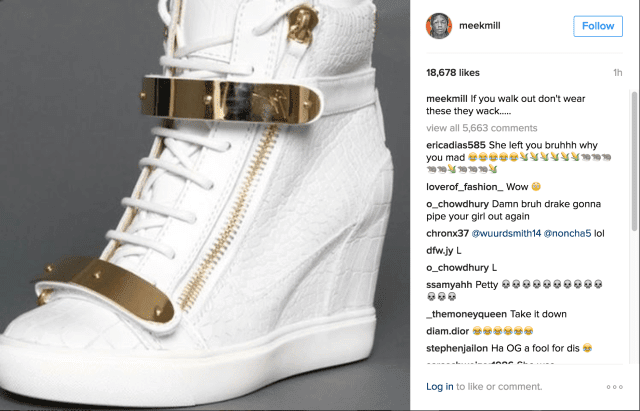 Though it appears that he has since deleted it, the rapper posted the following photo with the caption, "If you walk out, don’t wear these they wack…"
It seems as though the rapper is casting fun at Ciara’s 2013 single “I’m Out” featuring Nicki Minaj. The video features a segment where the two artists work the floor in the shoes pictured above by Guiseppe Zanotti called the “Lorenz” Wedge sneakers. It appeared Meek Mill's lay-off style of jabs doesn't really match with what was unleashed at him ...we suspect more shelling may be dropped in no distant time. 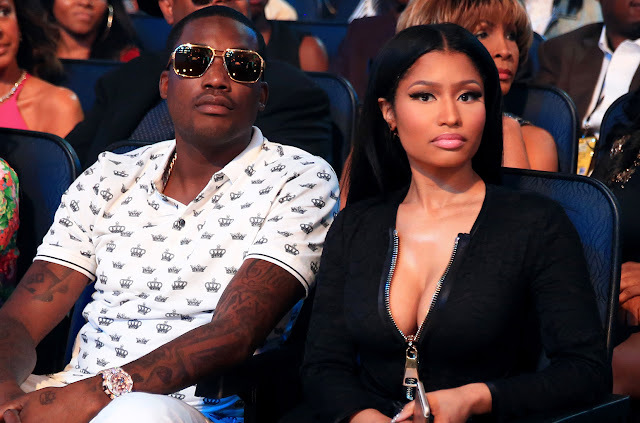 So guys, what's your take on this, are you in support of Nicki, Meek singleness?